Anna McKinney is the daughter of Jeff & Jessie McKinney and Molly McKinney’s big sister. Ever since she was a toddler, Anna loved to give presents to people. She got so excited to watch her friends and family open gifts because it made them happy. In addition, Anna always said that she desired to help other kids that are fighting cancer. By giving to Anna’s Wish, your donation will go directly to the purchasing of gifts, tickets, birthday parties, and any other pick-me-ups for children battling cancer, all while fulfilling Anna’s Wish. 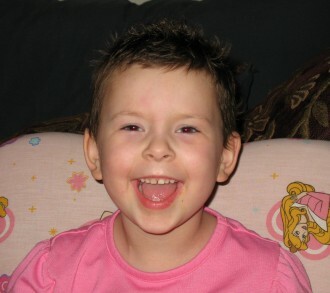 When a child has cancer, it is an extremely difficult situation. Many families struggle financially during this time because of medical bills, food and supplies during long hospital stays, and lost wages due to taking time off of work to care for the child. Often, single parents are forced to quit their jobs in order to provide the care needed for these children. Because of this, some families are unable to provide the gifts at the holidays that these brave warriors deserve AND NEED to help fight this horrible disease, because they are struggling just to pay the bills. The sole purpose of Anna’s Wish is to help families provide their children with the joy they deserve and to perhaps forget about the worries that cancer brings if even for a few short moments. These kids and their families suffer enough. Their days should be filled with joy and hope, not worrying about finances. By providing birthday parties, movie tickets, museum passes, holiday presents, and other fun opportunities, children and families are able to enjoy their time together and forget about the daily struggle. How It Works : Families in need of support will be identified in the Western New York area. We work with local hospitals and organizations to identify families in need of support. We provide the gifts and services they cannot obtain on their own. Our biggest event is our annual holiday shopping and wrapping, where we identify dozens of families, obtain their ‘lists’ and do all of their shopping and wrapping for them. Anna loved to give and see other people happy. She was a selfless person who always put others feelings in front of her own and this organization will preserve that quality she possessed. 100% of your donation will go towards gifts for these children, 100%. ALL administrative costs of this organization (PO Box Fee, Paper, Ink, Web Site Fees, etc) will be covered by the McKinney Family. Every penny you give goes toward gifts for a less fortunate family that is dealing with this horrible disease. Anna’s Wish, Inc is a Federal and New York State approved 501 (c)(3) charity. If you choose to donate, your donation will be tax-deductible. Thank you for contributing to this organization and honoring our wonderful and gracious daughter. We are so happy to be able to provide more and more each year because of the generosity of others.